Kontakion �Neither the tomb, nor death��. 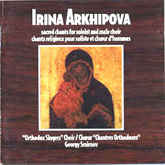 Music by Nikolay Golovanov. Op1, #5.